Bring water to a boil and blanch the kale for 1 1/2 to 2 minutes. Remove and rinse quickly under cold water to set the color. Drain and place in a bowl. 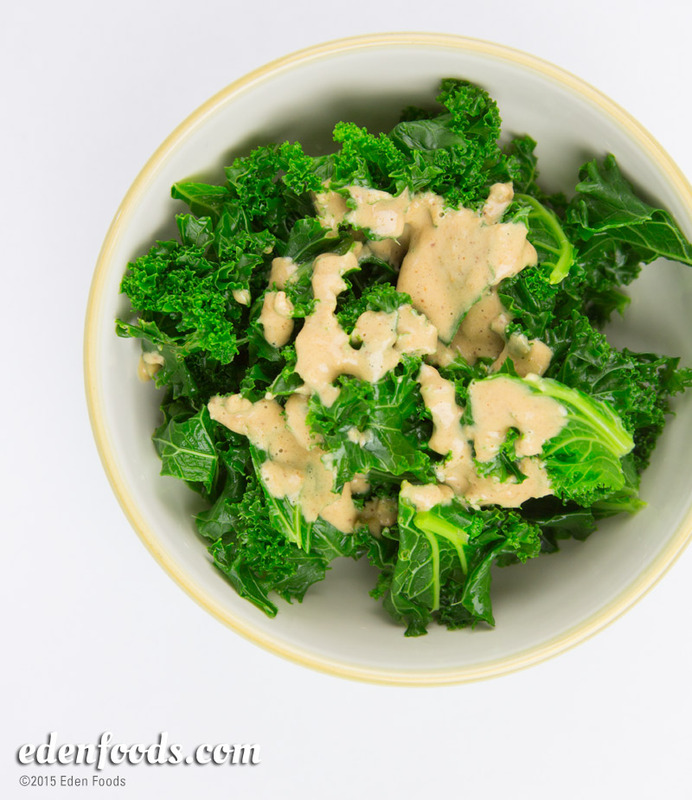 Place 1/2 cup water, mustard, peanut butter and shoyu in a blender and puree until creamy. Serve over the kale. Almond or cashew butter may be substituted for peanut butter. Chopped parsley, chives or green onions may also be added to the dressing for different flavors.